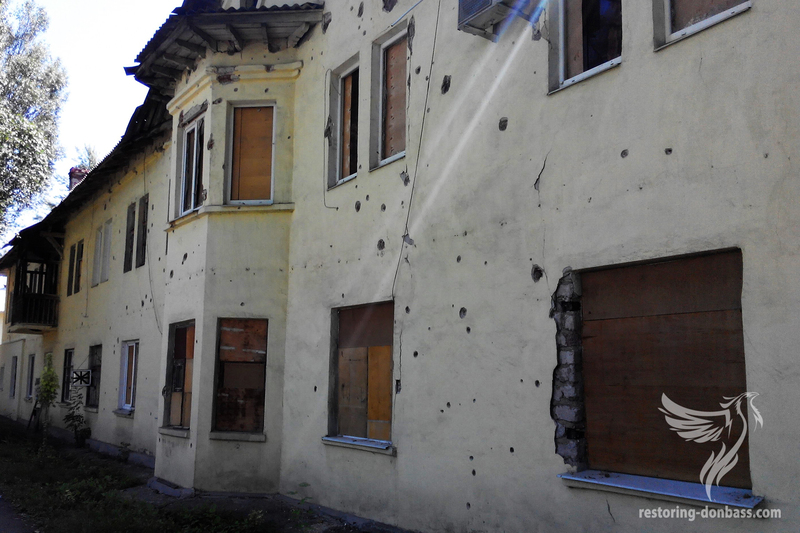 Home » Photo » Life in the ATO area » A house in the center of the Petrovsky district of Donetsk. A house in the center of the Petrovsky district of Donetsk. Constant arrivals of shells on the western suburb of Donetsk forced locals to refuse idea of a glazing their wondows. Now they are tightly boarded up.